Home Inspection Services of Lancaster is a company known for its expert assessments of new home construction and homes in the pre-purchase stage. Serving Lancaster, Fairfield County and all of central and southeast Ohio, HISL will provide you with one of the best inspections available on the market today. Contact Home Inspection Services of Lancaster by calling (740) 215-7201 for a home inspection that takes it to the next level! 1. Thoroughness. There are a lot of companies that claim to offer home buyer and new construction inspections, but not every company can really deliver! With Home Inspection Services of Lancaster you’ll receive a thorough, foundation-to-roof inspection that stands up to even the most critical eye. 2. Experience. Home Inspection Services of Lancaster has the depth of experience you need when you’re thinking of buying a home, or need to ensure top quality in a new construction. 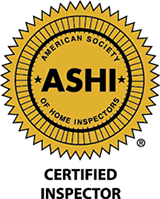 Owner and operator Merwyn Bowdish has credentials that include being a graduate of the American Home Inspectors Master Course and successfully passing the National Home Inspectors Exam. That means your all-important residential dwelling is in the best hands possible! 3. Diversely knowledgeable. Not only can Home Inspection Services of Lancaster provide you with the rundown on a home’s fundamental systems, but you can also opt to test for insects, mold or radon. You’ll never have to enter your new home unsure of what to expect! 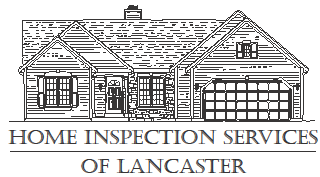 Discover what makes Home Inspection Services of Lancaster different than the competition. Learn the reasons that getting a home inspected prior to purchase is a sound investment. Insects, Ants and Mold – Oh My! Ensure a home’s free of pests like carpenter ants and termites, or dangers like radon and mold. Don’t wait another day to make sure the home you’re buying is up to snuff. Contact us ASAP!